The folks over at Rugged PC Review had a chance to spend some time with our ML210G-10 industrial PC and came away impressed with both its form and function. 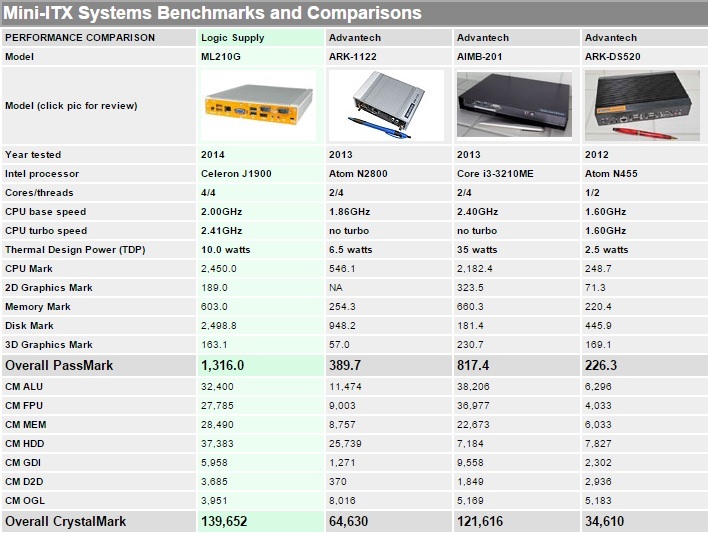 Their team put the system through its paces and share some impressive performance specs including exemplary PassMark scores for a system with a 10W TDP. Click on the comparison chart below to read the full review.